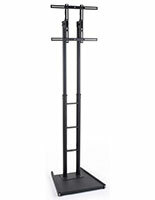 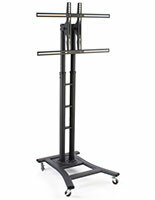 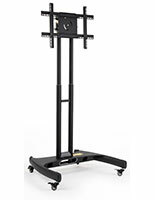 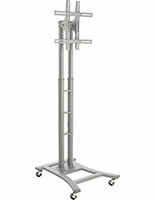 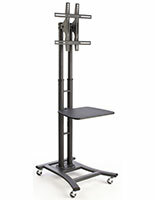 These adjustable height TV carts can accommodate LED televisions measuring between 37" and 65" and weighing up to 110 lbs. 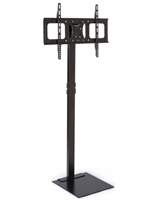 The flat screen stands feature standard VESA measurements from 200x100 to 600x600 (see the Specifications section below for a complete list). 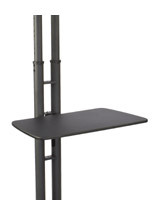 The LED TV carts also feature (4) locking caster wheels that make the great for moving from room to room. 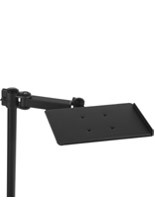 The fixtures with VESA support can tilt 15° downward for aiming the screen at the audience or at passersby. 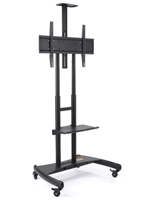 The carts can display flat screens in a horizontal or vertical orientation to meet any need. 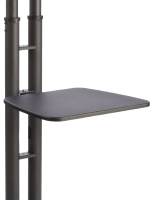 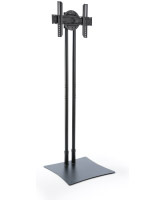 Each stand features a durable steel fabrication with a neutral black finish for matching any interior.